I'm pretty sure I've read a fake WWII memoir before or a greatly embellished one, at least. Granted, I've heard the other way was some times true. Someone asked a former squad mate of Audie Murphy's unit, if To Hell and Back was accurate. He replied it wasn't and Audie was being too modest. Hum, i may have to give these a look. Folks who actually fought in WWII are getting purty old now. WWII is a rich source of great action/adveture fiction that is simply not mined nearly often enough nowadays. I like reading the occasional memoir or history lesson on certain events during the war years, but I really enjoy pulpy action oriented fiction set in that most tumultuous of times. 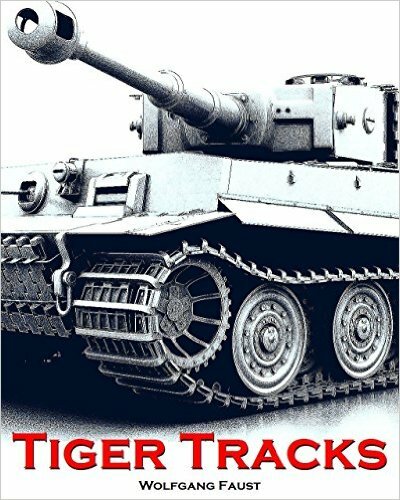 Just stumbled over this blog by accident after reading through both The Last Panther (TLP) as well as Tiger Tracks (TT). I agree that both books make for very entertaining readng and both are well researched and obviously written by somebody well versed in WWII tank warfare. 2. Whenever the author uses German terms and wordings he usually mangles them in such a horrible way that no German native speaker (even somebody really awful at grammar) could do with such consistency. "Late?’ he said. ‘Well, some things can be late. Trams can be late, Faust – you know that. Easter is late some years. I had a pretty girlfriend once, who said she was two months late, when she wanted a ring on her finger. But a whole Kamfgruppe? Late?" This is actually the sentence when I realized for myself that both books are not authentic, because the whole pun about the guys girlfriend would not make any sense if you phrase it in German, because while trams and Kapfgruppen (note the misspelling in the cited text) can be "verspätet", for Easter you would most likely use the word "später" and for girlfriends that are two months late you would probably use the term "überfällig". So, once you translate the whole sequence into German it simply makes no sense and is not funny anymore. As a comparison read some interviews conducted after the war by Western officers and authors with verified German soldier and if you read those (which were translated pretty much verbatim) you realize after each sentence that this was either said in German and translated verbatim or said in English by a German with poor English skills. However, as I stated at the beginning, both books are enjoyable (actually they make for much better reading than a lot of authentic first hand accounts I read), they are well researched and IMHO give a good impression of WWII armored warfare. Yeah, I have no doubt in my mind that the works are, at best, highly embellished / fictionalized accounts of someone's experiences. More than likely, they're complete fabrications, but at least they're very entertaining! I just realized I forgot to add as an additional point that the author repeatedly uses "Spandau" to refer to MG42s, a term that AFAIK was only used by British soldiers during WWII (which interestingly was a carry-over term from WWI where the Brits used "Spandau" as a nickname for the MG08 as that piece of equipment was, among other locations, manufactured in the DWM works in Spandau). Yesterday, I also read the first couple of chapters of "Into the Gates of Hell - Stug Command '41", which I had lying around for some time now and never got to reading it. And after the first couple of chapters I highly doubt I'll ever finish it due to the poor and cheesy writing style (reads like the plot for an 80s action flick). But after reading through the authors comments at the end of the book I did some researching the German sources since the book claims that Ritter von Krauss was (as a pen name) used for a number of manuscripts about the German experiences during WWII. Guess what... you don't find anything about or from a "Ritter von Krauss" during WWII. What amused me most is the fact about Ritter von Krauß changing the spelling of his surname to "Krauss" due to the fact that he had to write his name like this on the signs of his factory which were all written in capital letters. I didn't bother doing the digging when I read StuG Command, mostly because the book was so mediocre/terrible, I didn't really care, and just assumed it was pure fiction. Interesting that you found out about the historical RvK though! I haven't read the book. In fact, I saw the book and people stating it seemed fictional and I came across this thread trying to verify the information. That said, while your analysis on the German to English translation is good reasoning, I don't think it's correct. That's because you read it in English and then back to German verbatim. The original German could have used überfällig in all the cases, and plays better in my mind as a phrase in German than später or verspätet. Remember, that the are colloquial idioms and expressions all over Germany, and Bavarian's speak much differently than the rest of Germans. Translating to English can be ever harder, because Overdue doesn't work in English for the examples. It lacks the wrong tone. Reminded me a lot off sven hassel. Although ge is even more vivid in his descriptions of battle carnage. It reads much the same, though the characters are less prominent. As are the whole political machinery that hassel weaves into his tales. Although it is there, the chaindogs go st their business as usual picking out deserters and shooting them. He knows his tiger way better though. Is it the real deal? I don't know, probably like sven partial and then woven into more fictional stories. Currently at two third of his tiger book and it is a good read. It holds you onto the story and captures the battles and the horror quit well. Way better then lots of other stuff I read. 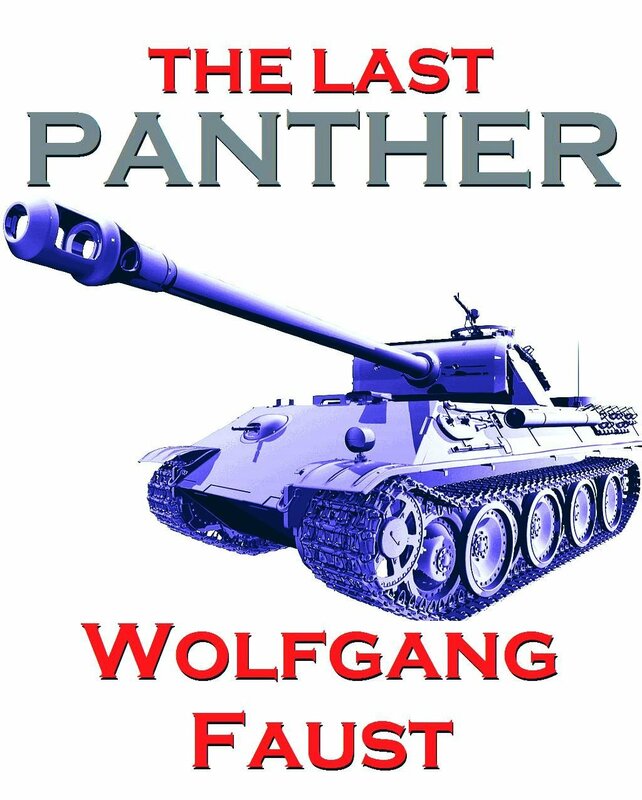 Looking forward to the last panther which is better then this one I'm told. I'm half-way through 'The Last Panther'. I'm very suspicious. My guess is that it was written in the 1990s by a bloke called Martin who lives with his mum in a semi-detached in Wolverhampton. There are several details that are wrong. The last one that stood out at me was the time he fired his pistol through the pistol port in the rear of his panther tank's turret. Panthers have no such port. He sees a very suspicious amount of action and death for one man, no matter what battle he is in. The main thing that seems wrong is that everything in the fights happens in plain view of him, such that he can describe it in detail, and is so very VERY spectacular. So far, every tank hit and knocked out has veered off-course, crashed into something significant, flipped over and blown up in a mountain of fire, illuminating the landscape for miles around. Not one tank has just been abandoned, or smoked a bit. Real WW2 fights, especially at night, involve lots of fire from unseen enemies, and lots of shooting at unseen or partially seen foes, who just don't fire back after a while, so are presumably dead or seen off.